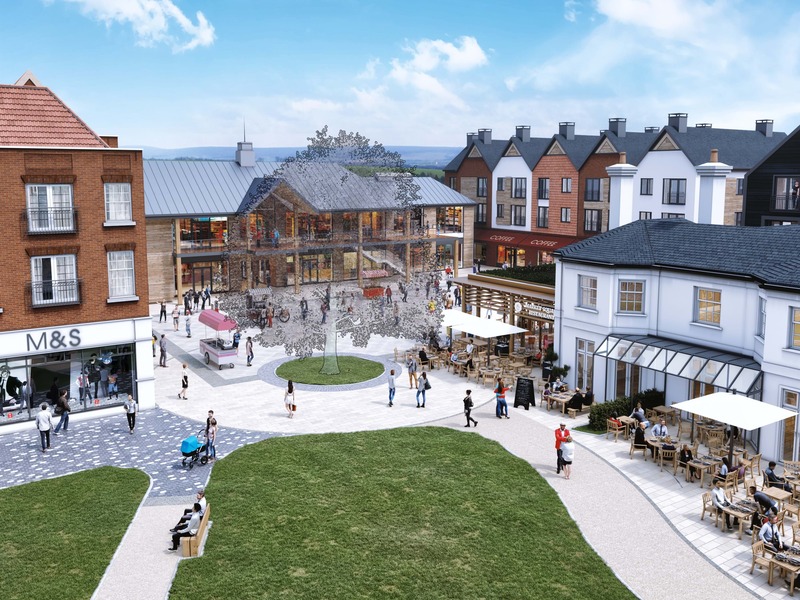 We were appointed to work with Crest Nicholson Regeneration to regenerate a key site in Farnham adjacent to its historic town centre. 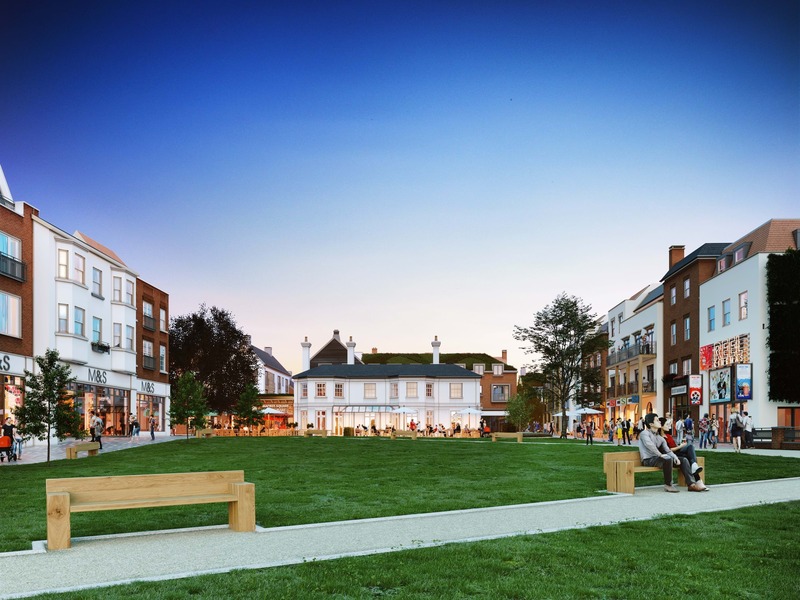 Extending from the river Wey to the town centre, we were tasked with bringing vitality to this underused part of the town through a balance of leisure, retail and residential uses. Our sensitive, yet robust architectural and urban design led solution provides circa 10,000 sq m of retail cafés and restaurants, a six screen cinema and 239 private and affordable apartments. 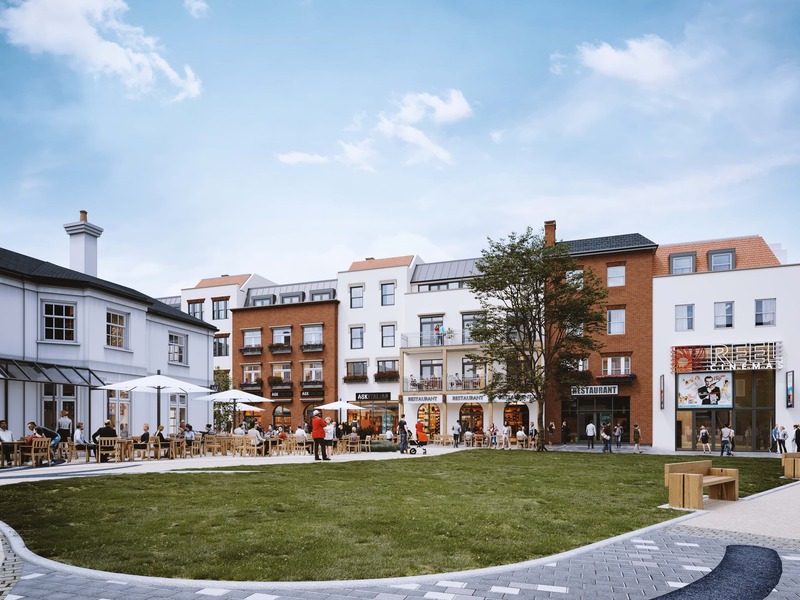 The scheme includes an underground and multi-storey car park, allowing for the creation of a pedestrianised Public Realm and new Market Square. At its center is the Grade II Listed Brightwell House, which will be carefully refurbished and converted to restaurants with a modern extension. 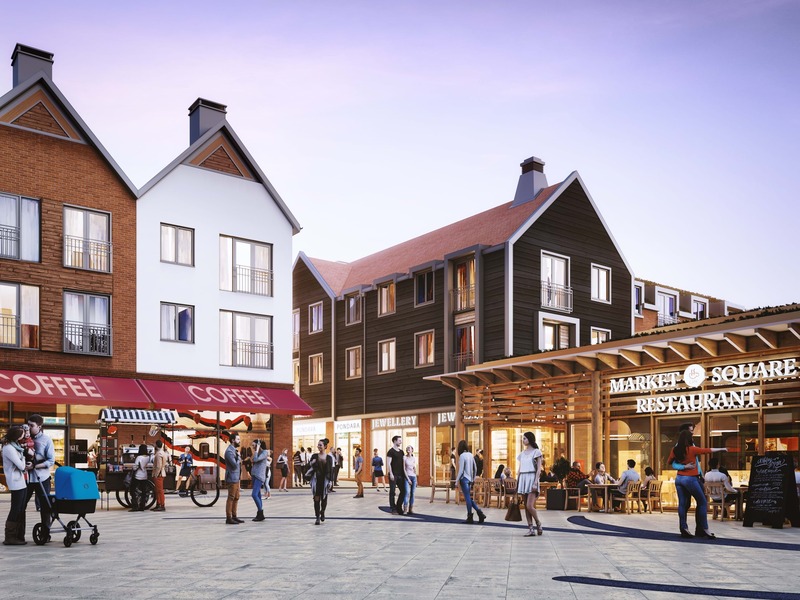 A new pavilion building will overlook the Market Square. 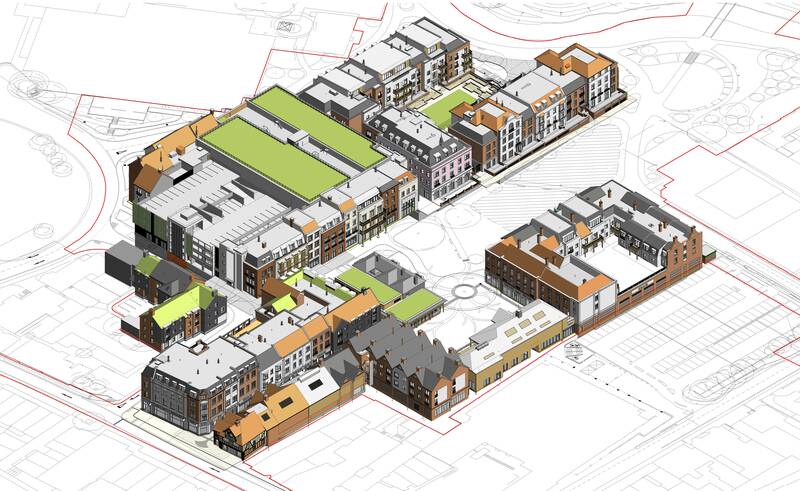 A 5-storey green wall will wrap the cinema and car park. 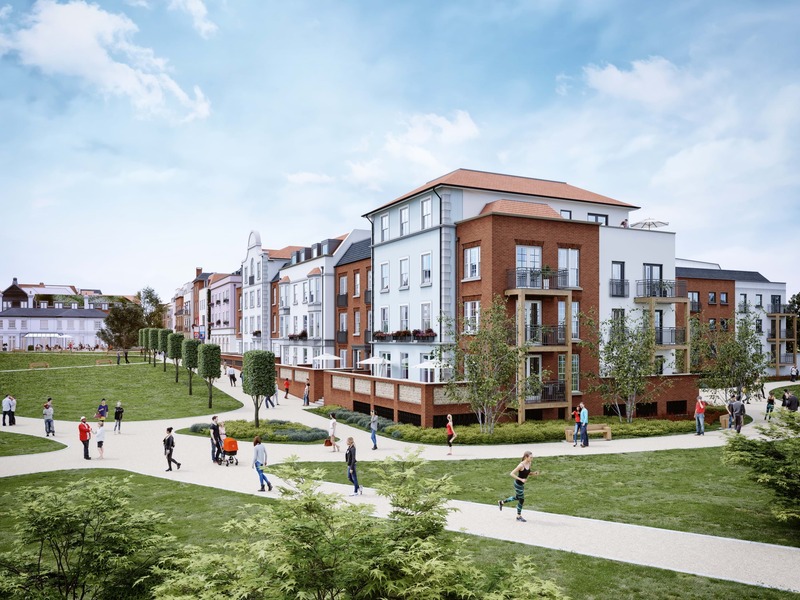 Extensive public gardens will be interconnected with a network of pedestrian and cycle routes leading to a new footbridge across the river Wey.